He didn't win American Idol, but Chris Daughtry and his eponymous band found huge success as the top-selling artists of 2007. 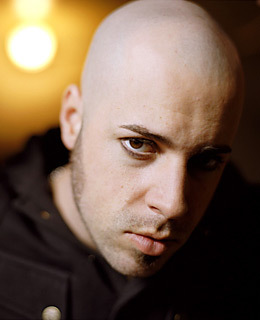 He didn't win American Idol, but Chris Daughtry and his eponymous band found huge success as the top-selling artists of 2007. When you started the band, did you ever think you would be the top-selling artist of an entire year? Not at all. It wasn't a goal, really, because it didn't seem like something that was attainable. Some goals you just never really think about trying to achieve because they just seem so out of reach. You're touring with Bon Jovi this year. Is that a group you've looked up to as a rocker? That's one of the bands that everybody wants to tour with, and I think one of the biggest things about them is that they're still in the game. It's one of those bands that you want to be associated with, because you want to model your career after them. You're often compared to Nickelback. How do you feel about that? I say, Cool. They're obviously doing well. I've been writing for 11 years, and if that means I'm already writing songs as good as [Nickelback lead singer Chad Kroeger], I'm pretty stoked. It seems everything that guy writes turns into a big hit. Why did you name the band after yourself? Because I'm conceited. [Laughs]. Just kidding. It was more about name recognition than anything else.